Fresh From Hawaii to You! 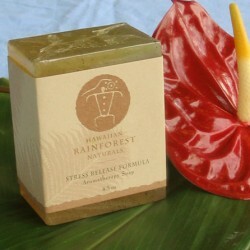 Categories: Bath, Spa and Fragrances, Hawaiian Gift Baskets. Our most diverse of all the bath and spa gift baskets. 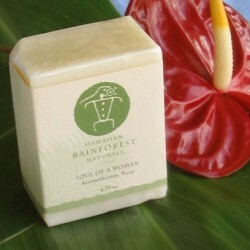 This set includes a variety of products from each of our women’s bath and spa collections. 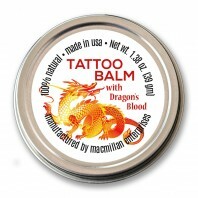 We also include a healthy Hawaiian candle. This spa basket includes three types of natural bath crystals. There is also a soap made with essences of wild orchids. For after the bath there is a body spray and a gentle moisturizing lotion. This spa gift basket uses the same healing properties used for centuries by native Hawaiians. These flower essence infused products will leave her feeling refreshed and rejuvenated. Popular as a Mother’s Day, birthday or anniversary gift; or just because she deserves to be pampered. 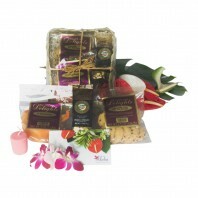 This spa gift basket is a tropical treat. Like a Hawaiian vacation in your home. These are not factory cosmetics with artificial fragrances. 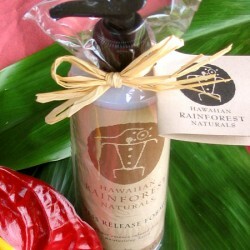 All of the flower essences used in these products are gently hand gathered in the Hawaiian O’hia Lehua Rain Forest on the Big Island of Hawaii. Special measures are taken when hand gathering the plants used in these products. No damage is done to the environment in that process. Flower essences are then extracted from the plants. Our producer makes a limited number of each item due to the care needed to produce them. Each packet of bath crystals makes on full, relaxing bath. 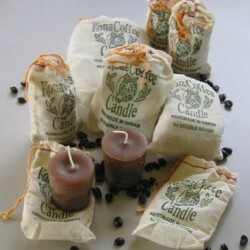 Our soy candles are also hand made in Hawaii. They are all natural with added flower fragrance. Each will burn eight to ten hours. Petroleum free. Creatively arranged in a hand woven dried lauhala basket wrapped in cello and tied with craft raffia. Also available for free delivery to Waikiki hotels. © 2000 - 2019 With Our Aloha. All Rights Reserved.